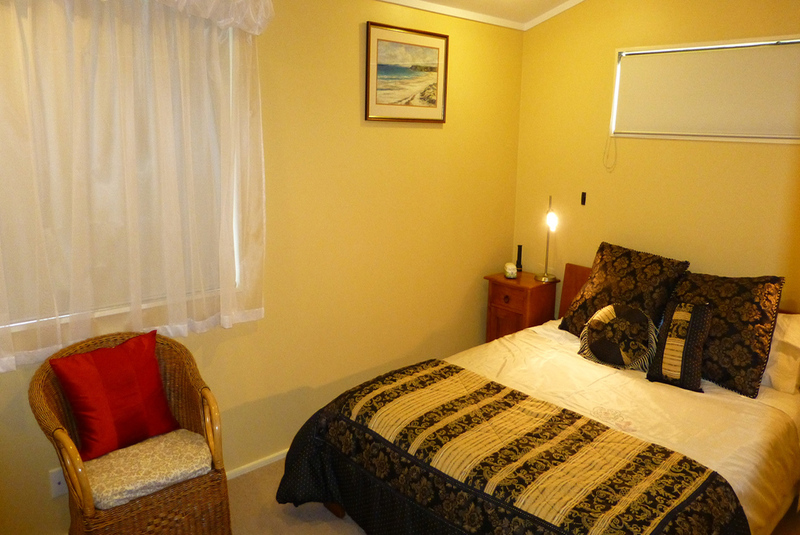 Tarawera suite $465 based on 3 person. 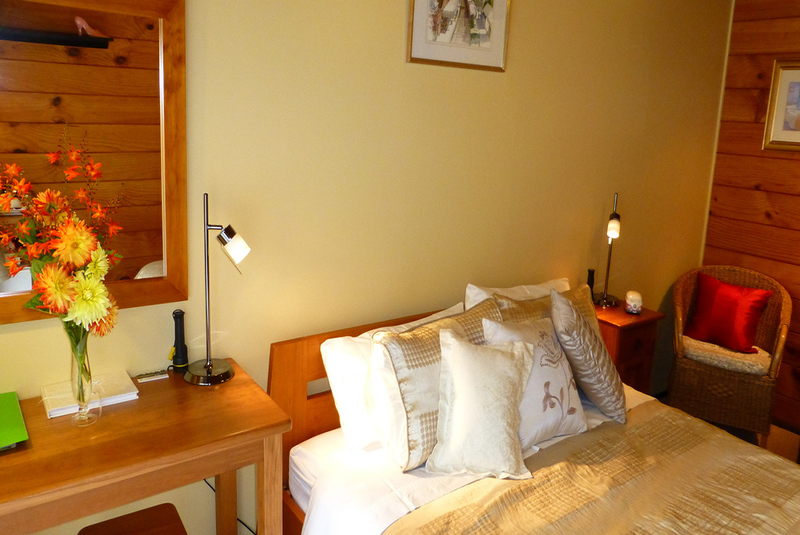 Mokoia Downs B&B offers high quality accommodation consisting of four stylishly furnished rooms. The rooms are comfortable and cosy rather than large, and located in private areas either within or adjacent to to the main house. All our rooms contain original artwork, fresh flowers are picked from the garden before the arrival of each new guest, and delicious home-baked bicsuits are provided each day. Facilities in all rooms include: high quality, firm mattress for a good nights sleep; finest linen and towels; fluffy bathrobes; bedside reading lamps; wireless internet; tea and coffee making facilities; fridge; hairdryer; heater; clock; socket board with USB ports for charging devices; information folder; outside deck or patio with table and chairs. Please note that the minimum age for children staying at Mokoia Downs B&B is 6 years.